Life was sweet last week when food for fun took a quick trip to Door County, Wisconsin. 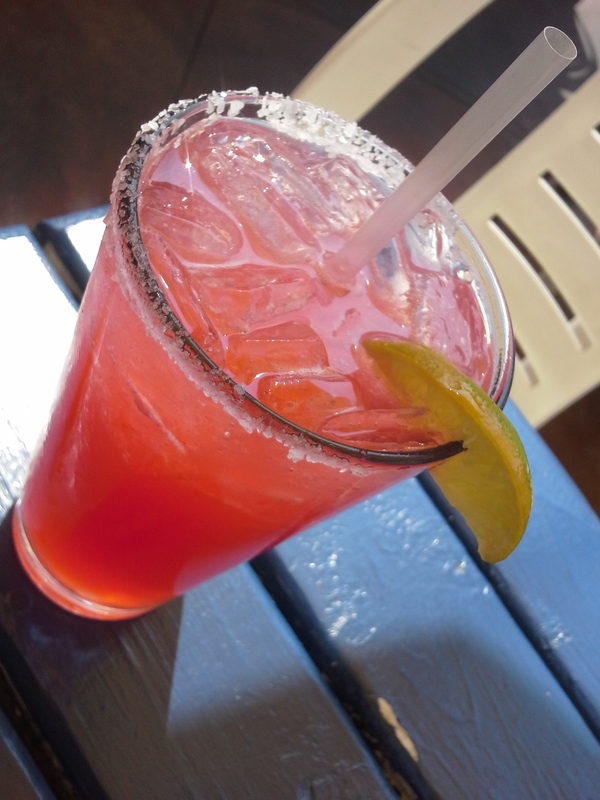 Next on our list are the beverages enjoyed on my recent foodie vacay. Quick recap: A friend invited me to join her for a few days in a lovely little cottage on this scenic peninsula dividing Green Bay and Lake Michigan. Picturesque is the perfect word, but so is delicious. I ate and drank with near abandon and we’ve already looked at the sweet stuff. This week, we find the tasty sippers that kept us hydrated. Our first night in town we enjoyed sandwiches, fries, and a beer at a local tavern. The lighting was poor–as it should be in a tavern–so no photos, but the beer was noteworthy. New Glarus Brewing is famous throughout Minnesota as “that beer you can only buy in Wisconsin.” This microbrewery crafts a number of different brews, but none more well-known than Spotted Cow. 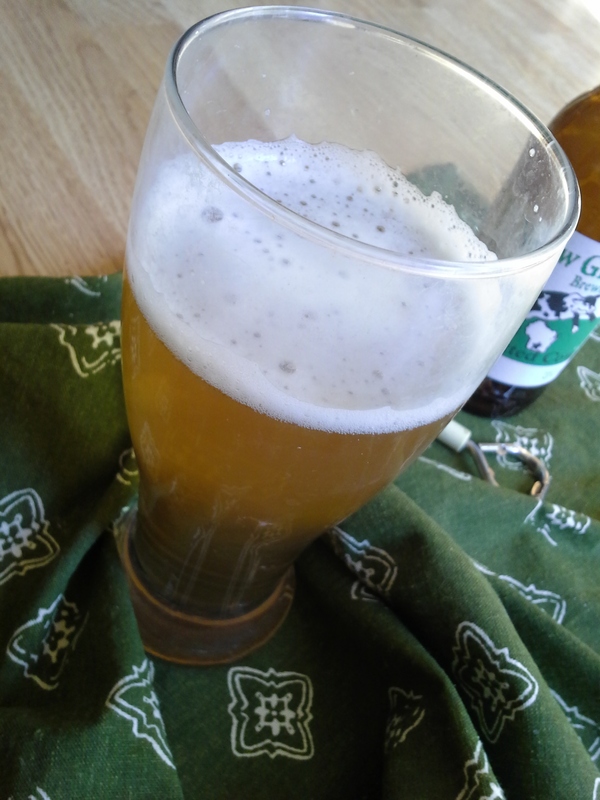 A tasty beer, Spotted Cow is interesting and lively without being offensive. I’m no beer aficionado, so won’t even try to describe flavor notes outside of it tasting a bit like corn while also being wheaty. (see how bad I am at this!) Let’s just say it’s a beer for which folks–myself included–are willing to cross state lines. Our last stop before returning home was a gas station where I bought a case of Spotted Cow to take home for summer sipping. 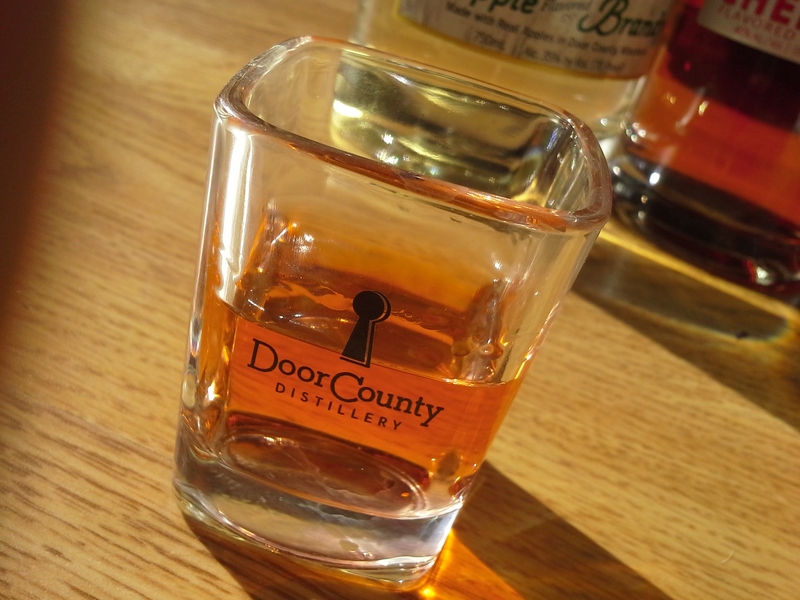 The next afternoon we put Door County Distillery at the top of our list and went off in search of whiskey tastings and what not. 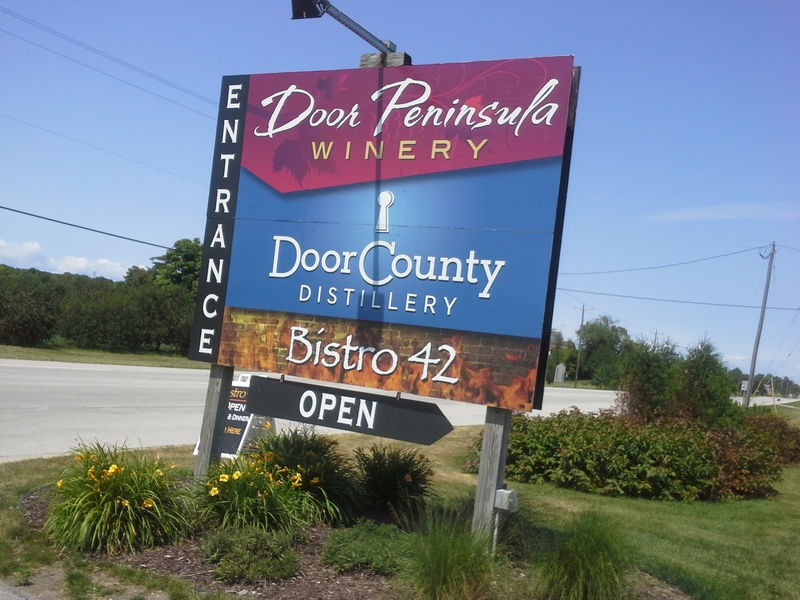 The distillery itself was a part of Peninsula Winery, which we’d seen signs for everywhere. The operation seemed a bit touristy, but I was happy to pay $5 for a shot glass and small pours of their Apple Brandy, Luminous Vodka, and Young Brandy. 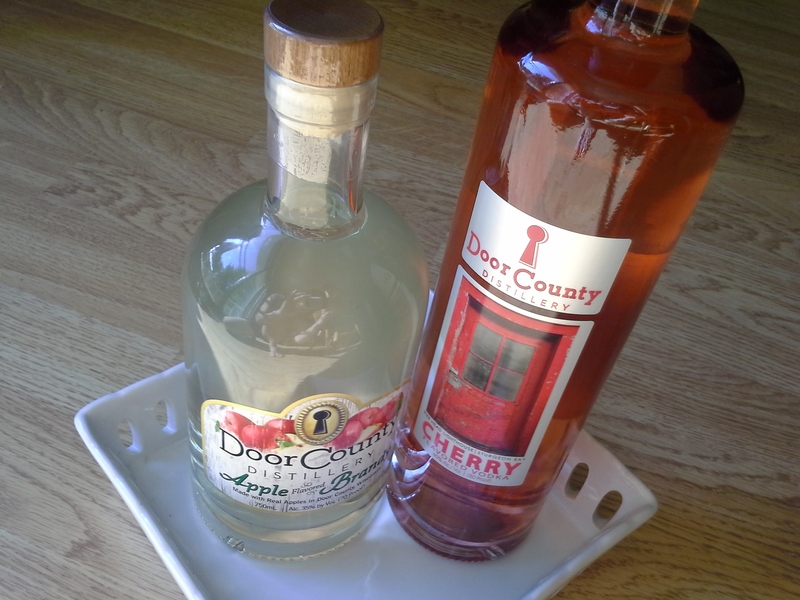 They all tasted well enough and it became clear that my spirit collection was not complete without apple brandy and cherry vodka. What I enjoyed most, though, was the red solo cup (!) filled with vodka lemonade I bought at the distillery shop. The distillery knew what it was doing as the shop emptied into a larger gift store where free wine tastings were held (though the lines were long enough that we passed) and Peninsula wines as well as Door County fudge, jams, jellies, barbecue sauces, flavored olive oils, and other food stuffs were sold. My lemonade vodka-fueled good spirits translated into a good amount of purchases, one of them a fantastically fruity punch-like wine with a fantastic name. Coffee was clearly needed at this point, so it’s a good thing Door County Coffee & Tea Co. is just across the road from the distillery/winery. Again, the shop oozed “tourist,” but that didn’t stop us from enjoying the sea salt caramel pastry and a lovely espresso drink seen in last week’s post. 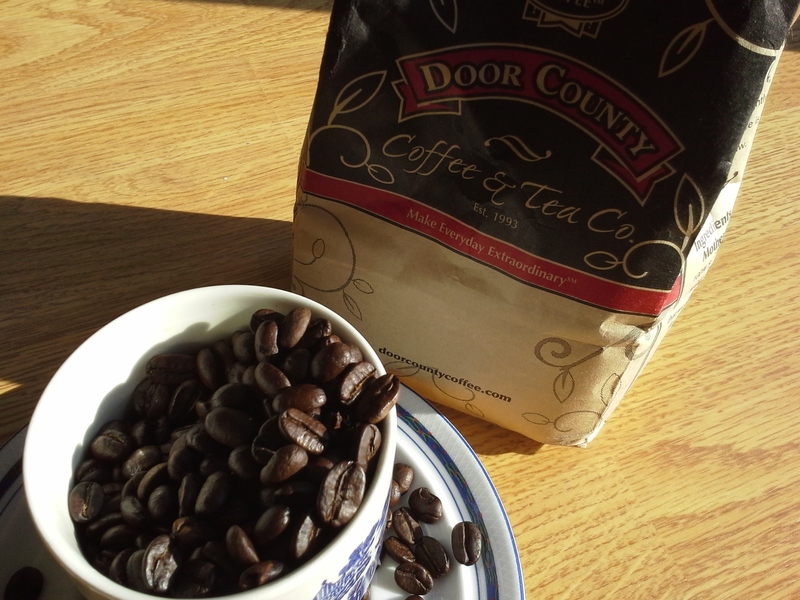 As well, I purchased a package of Door County cherry coffee beans to brighten up my non-vacation mornings. Next up was lunch at Shipwrecked Microbrewery, Pub & Inn, which seemed the logical place to order a beer. But instead I was pulled in by their lovely raspberry gin fizz. Just off the main highway, the building was unimposing and a bit of a ramshackle affair. Slick and touristy it was not, which was why I loved it. The (free!) tasting included generous pours of its four varieties of apple and pear cider, ranging from the über-dry Brut Apple to the sweet Apple Cherry. The cider went well with an impromptu picnic of cheeses, meats, and crackers that we snuck in before attending The Fish Boil, both of which you’ll find here next week. 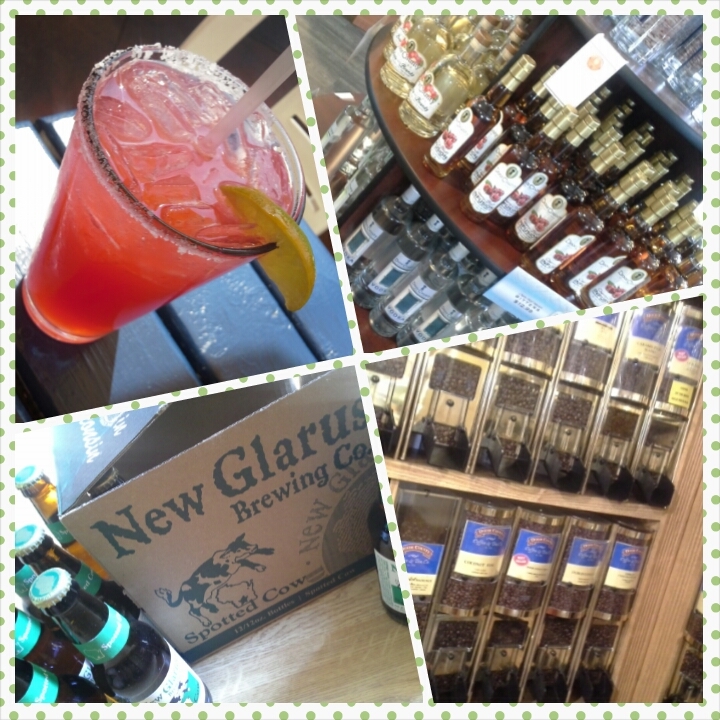 Our visit to the drinks of Door County has ended and I thank you for allowing me to sift through memories. I’d love to have you back again next week when we munch on the savory side of the lovely vacation paradise that is Door County. Thanks, Amy. Cheers to you, too! wow, way to swim your way through door county. ) cheers! Looks like you had fun drinking too! I just love sampling local food and drink when traveling! I am not a beer fan but would give it a go, why not?! 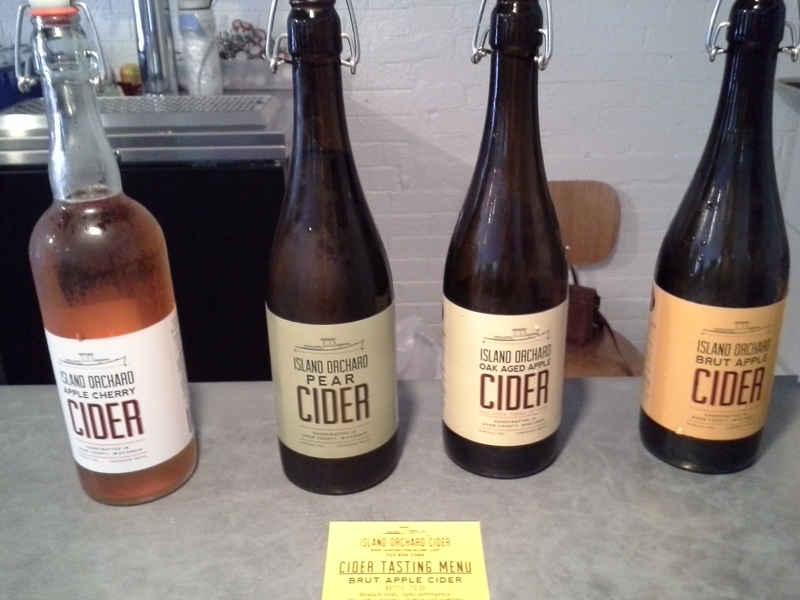 I also recently went to a ciders in Asheville and got a flight sampler. Some tasty drinking indeed, except for the hoppy one. Now you can relive your fun while enjoying everything you brought home! Though I wouldn’t have been able to drink that much, all the drinks look very appealing! Sounds like you had a fun trip overall! Ha, ngan–don’t mean to make myself out as a lush 😉 Note that half of the booze was for taking home 🙂 And it was a hangover-free trip, so that parts good! Wow, I felt I could smell the beer from here. And those coffee beans had me at hello. Love that you spread your wings and tried a distillery and a cider tasting as well. Looking forward to reading next week’s installment! Thanks, Tracy 🙂 When I put this all together, it looks a bit like I’m a lush, but keep in mind this was four days worth of drinking and some of it was purchased for home use 😉 Glad you’ll be back for the savories. got plenty full anyway 😉 Mostly it was just nice to take a break from “real life,” but the food and drink made it all the more fun. I am so jealous of this trip! I’m actually going to the Stoli vodka lemonade truck in Santa Cruz this weekend! That’s as close as I can get to a foodie vacation 😉 I’ll post about it soon. Hope you are doing well and surviving summer! love that there’s a vodka lemonade truck. It’s like you crossed a lemonade stand with an ice cream truck and adultified it 😉 Enjoying your summer, I hope. Ready for another school year? I remember counting down with you last year. How did we fast-forward so quickly? This is so awesome, since I subsist on coffee and wine. It’s an embarrassing fact even though I eat everything I make on the blog, my true sustenance is wine and coffee with the occasional mixed drink and meal thrown in. I had the exact same thought… looked like a lot of fun taste testing! Good microbrews and unusual spirits are some of life’s little treats! agreed, Dave. Gotta get our kicks where we can 😉 The more unusual the spirit, the more intrigued I am. Thanks for popping in. Seems I only have to tag a post as “cocktails” or some such booze-related word and you’re in! Thanks, Sophie. Taste testing is fun for sure! Wow Liz. 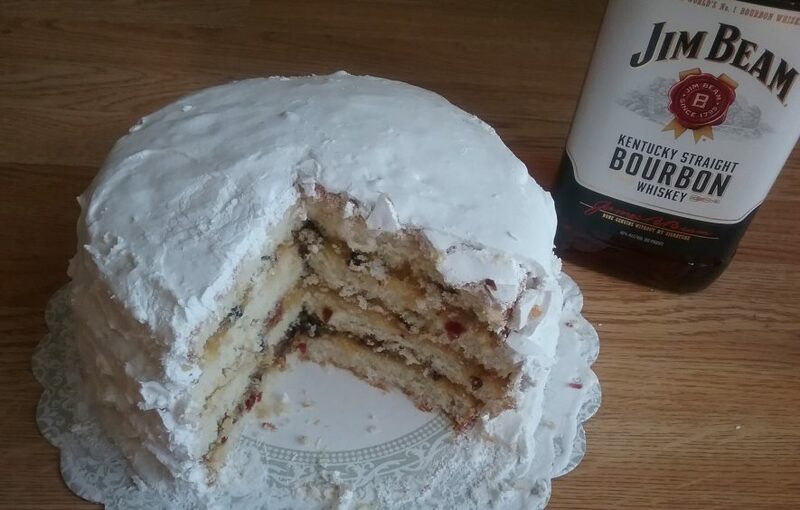 …looks like your having more fun with lovely drinks and treats…. Thanks, Chitra 🙂 Love that you’re here! Hope you found something to drink, M 😉 Thanks for coming over! The funny part of me collecting so much booze is that I don’t drink all that much. Was on that mojito kick a few weeks back where I had one each night for six nights running, but usually I’m too busy to enjoy a cocktail. So the vodka and brandy will last me a very long time. Which isn’t a bad thing, really. Spotted cows, red chaos, cherry coffee beans, and pear cider–you know how to pack your vacation chock full. I’m glad you stayed hydrated. That pic of the raspberry gin fizz makes me want to take hold of the glass and tilt! proud to say I never had a hangover 🙂 And the gin fizz was great fun. 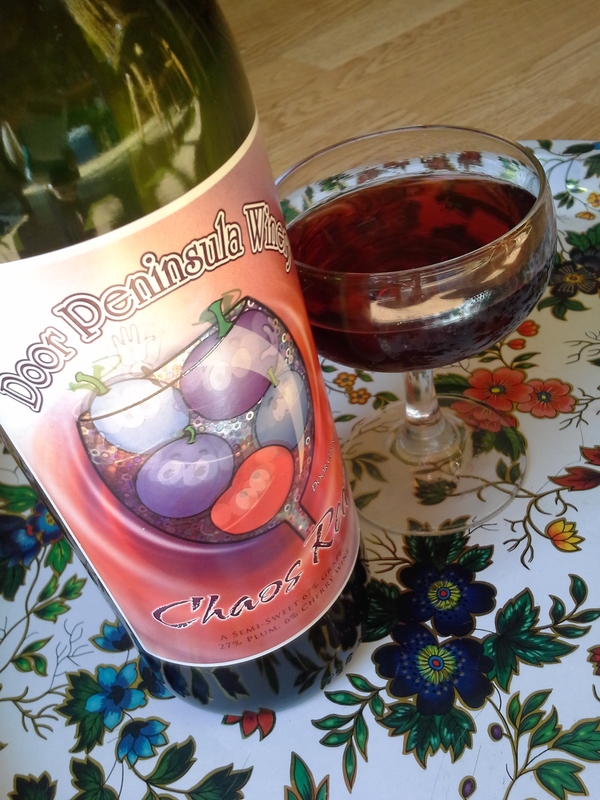 And Red Chaos is my new fave wine. I even bought a moscato to take home! I’m so much fun on trips you can hardly handle it, Bonnie. haha. Thinking we would be an equal amount of fun and perfect travel companions! Wow, this sounds like an awesome vacation! Lots of yummy drinks! Also the sea salt caramel pastry sounds phenomenal!